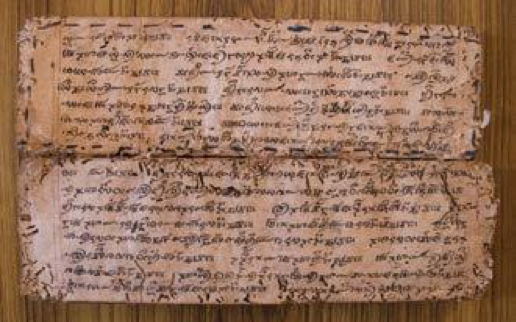 Worship of Ekadoshi, Lepcha manuscript. From an article by Heleen Plaisier. 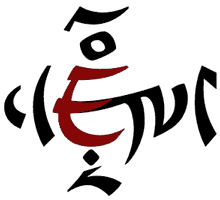 The Letter That Never Was: a fictional character created by the Sikkim Bhutia Lepcha Apex Committee to illustrate how Rong syllables are constructed. 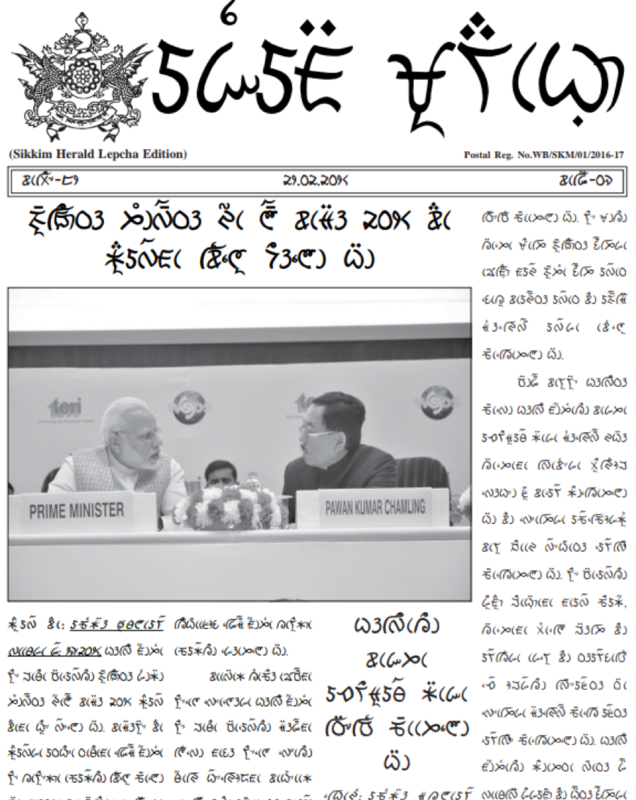 The Sikkim Herald, a state-run weekly news bulletin in the Indian state of Sikkim, is a model of linguistic pluralism. It is published in no fewer than thirteen languages: Bhutia, English, Gurung, Lepcha, Limboo, Mangar, Mukhia, Nepali, Newar, Rai, Sherpa, Tamang, and Tibetan. Lepcha is perhaps more accurately called Rong. (The English name “Lepcha” derives from a Nepali insult meaning “inarticulate speech.”) Their own word for themselves is Róngkup (‘children of the Róng’), and their language Róngríng (‘language of the Róng’)–is the oldest language in Sikkim, pre-dating the arrival of the Tibetan and Nepali languages, and the Rong themselves are thought to be the original inhabitants of Sikkim. The Rong may be a minority, but they are not an abandoned minority. Like the Sikkim Herald, the state of Sikkim is unusually pluralistic. 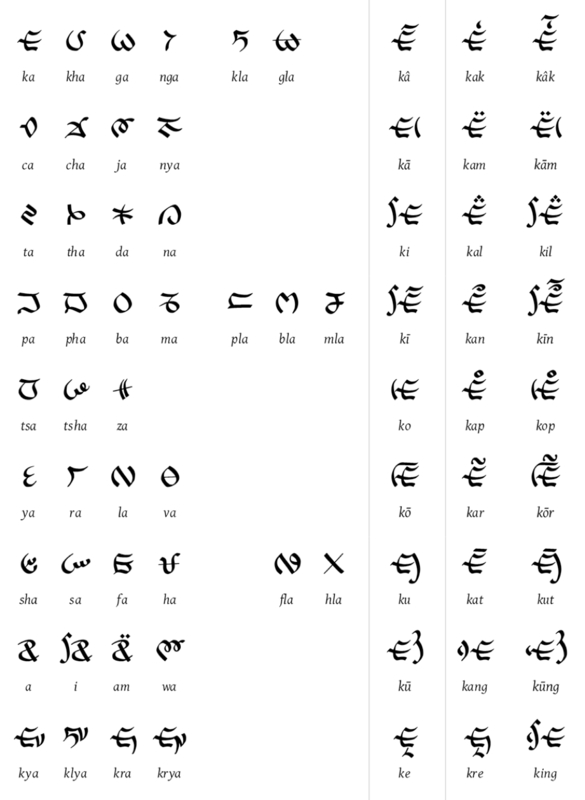 Rong (or Lepcha) is one of eleven official languages. Lepcha is taught in schools, there is a textbook department that develops official learning materials, and the government radio station broadcasts news bulletins and cultural programmes in the Lepcha language. There is even a Rong cultural conservation area in North Sikkim where few outsiders have been allowed to settle. Yet the Telegraph of India reported in 2008 that Rong culture is endangered. “The Lepchas are nature-worshippers and it is often claimed that their language has names for all the birds, plants, butterflies, animals and other insects as well as the hills and rivers in their native habitat. This knowledge, which is mostly passed orally, is disappearing fast as the community grapples with modernity.